Microsoft is one of the biggest IT Company in the world that produced a lot of different products and services for their users. Their solutions are used all around the world and create numerous job opportunities. For a person to become eligible for a job as a Microsoft technician, they need to get certified from Microsoft. 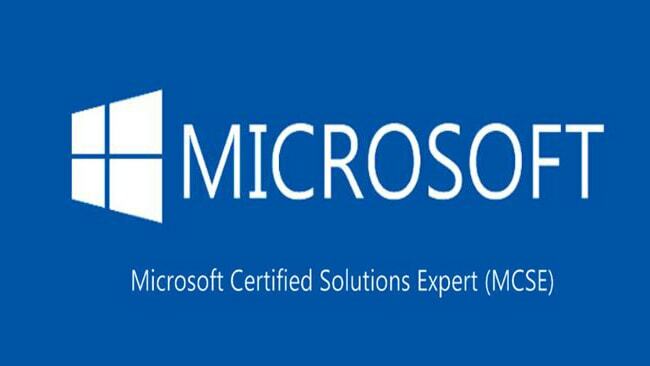 MCSE stands for Microsoft Certified Solutions Experts. These are the expert level certifications that are rewarded to the people who have expert level skills and knowledge in certain fields. There are mainly 5 kinds of MCSE certifications that the candidates can opt for. Each of these has their own advantages. In this article, we will know about these five MCSE Certifications and what are the job opportunities that they can provide the candidates opting for them. Skills: The candidates need to know how to work with and manage Microsoft Dynamics 365 technologies. They need to have all the knowledge to apply this in the business specific areas to bring profits to the company. The candidates are required to have practical as well as theoretical knowledge of the subject before they can give the exam and get certified. Exams: The aspirants of the MSCE Business Application Certification have to pass one compulsory exam. There are six different kinds of exams available. The candidates can pick any one of these to get certified. They can even give more than one and get an additional certification. As already said above, the candidates should know how to use, maintain and implement Microsoft Dynamics 365. The candidates with moderate to high understanding of the sales processes can get better jobs in this field. Job Opportunities: There are numerous job opportunities that are associated with the MCSE Business Applications Certification. The jobs that the candidates can get are marketing and sales professionals, project managers, sales managers, solution architects, and functional consultants. This is also good for the people who want a career as developer, technical support engineer, implementation consultant or a system administrator. 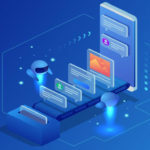 Skills: The candidates need to know how to run a modern and highly efficient data center and have expertise in fields such as cloud technology, system management, identity management, virtualization, networking, and storage. The candidates also need to be perfect with using the tools and techniques that can be used to build resilient and scalable solutions. Exams: To get this certification each candidate has to pass one compulsory exam. The candidates are given a choice of 10 exams and they can pick one and get certified. If they want to have more knowledge and skills of the expert level, they can even give more than one exam and get certified twice or as many times they want. Each of these exams are related to Cloud Platform and Infrastructure and have their own importance. Job Opportunities: There are numerous job opportunities for the candidates who get certified. They can get jobs such as cloud architect, cloud administrator. Information security analyst and computer support specialist. There are many other job opportunities that can also be grabbed with the MCSE Cloud Platform and Infrastructure certification. Skills: The candidates need to be skilled in SQL administration, leveraging business intelligence data in cloud environment as well as on-premises and building enterprise-scale data solutions. Exams: The candidates will need to pass one exam in order to qualify for the certification. There are 12 exams and the candidates can choose one amongst them to get certified. Each exam will test a different skill set. Since this is an expert level certification, the exams will be harder and more detailed. Hence a thorough knowledge is very important. Job Opportunities: The candidates with this certification can get jobs such as database analyst, business intelligence analyst, database designer and much more. The more a candidate has knowledge in this field, the better are the job opportunities. Additionally, the experience is also a big factor in landing a proper job. With the change in the technology and in the ways that most of the enterprises work, the Mobility certification has become one of the most opted for certifications. Here is all you need to know about this certificate. Skills: In order to get the Microsoft MCSE Certification: Mobility Certification, the candidates need to have all the skills that are needed in order to manage all the devices in the office environment that practices bring-your-own-device methods. Exams: The candidates have to pass one exam in order to succeed and get the certification. There are three exam options to pick from. Any one of the exams can get the candidates with the required certification. Job Opportunities: The candidates can expect to get job opportunities such as desktop support technician, enterprise manager and much more. It depends on what your skills are and how much experience you have in the desired field. Skills: The candidates need to have skills that are required to move the entire company to cloud, increase flexibility and productivity, improve data security and reduce the data loss of the organization. An experienced individual is suitable for the certification since this is an expert level certification. Exams: The candidates will have to pass 70-345 exam in order to get certified. The candidates with a minimum of three-year experience in managing and designing Exchange Server and know how to handle the Exchange Server 2016 messaging in an enterprise can sit for the exam. The name of the exam is Designing and Deploying Microsoft Exchange Server 2016. Job Opportunities: with the MCSE Productivity Certification the IT Professionals can become Network Administrators and Computer System Administrator. Most of the expert level positions are rewarded to the candidates. MCSE certifications are the expert level certifications that are hard to get but are really helpful in landing you better paying jobs and making a better career in the business as well the IT field.